A middle school student who has a huge love for literature and a crush on Saeki. It is because of his infatuation of Saeki that he steals her gym uniform. Sawa Nakamura, an isolated loner in Kasuga's class witnesses him stealing the uniform.She then blackmails him into forming a contract, tying them together as "friends." Initially against his contract with Nakamura, he cautiously followed her requests and disliked their meetings. However, over time he begins to see that Nakamura is actually lonely, and longs to escape from the people of the town, much like himself. 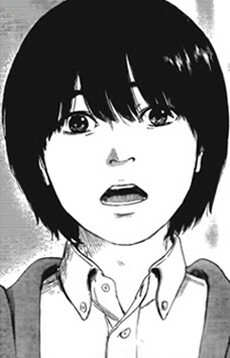 Kasuga later develops strong feelings for Nakamura, promising to one day take her to the "other side."